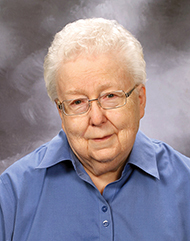 Sister Ellen Murphy, formerly known as Sister Marie Aquino Murphy, died on Thursday, April 11, 2019, at the Dominican Life Center in Adrian, Michigan. She was 82 years of age and in the 64th year of her religious profession in the Adrian Dominican Congregation. Sister Ellen was born in Detroit to Joseph and Cecilia (Kenney) Murphy. She graduated from Dominican High School in Detroit and received a bachelor’s degree in history from Siena Heights College (University) in Adrian and a master’s degree in European history from De Paul University in Chicago. Sister spent 35½ years ministering in elementary education in Detroit, Michigan; Chicago, Homewood, Elmhurst, Wilmette, and Oak Lawn, Illinois; and Fort Wayne, Indiana. This includes seven years as principal of Queen of Angels, Chicago; three years as principal of St. Joseph, Wilmette; and nine years as principal of St. Catherine of Alexandria, Oak Lawn, all in Illinois. She also spent five years as principal of St. Vincent de Paul in Fort Wayne, Indiana. Sister Ellen was the administrative assistant for a short time for the Dominican Midwest Chapter of the Adrian Dominican Sisters in Burbank; ministered in spiritual development for CenterPointe in South Holland for three years; was program coordinator for Women’s Center Project, Westchester for one year, all in Illinois. She was also regional coordinator for Catholic Association of Student Councils at Notre Dame, Indiana, for one year. Sister Ellen became a resident of the Dominican Life Center in Adrian in 2013. She was preceded in death by her parents and a first cousin, Sister Celine Therese McMahon, OP, also an Adrian Dominican Sister. She is survived by her Adrian Dominican Sisters. Welcome of Sister Ellen will be on Tuesday, April 16, 2019, at 6:00 p.m. in the Dominican Life Center lobby; the Wake will follow from 6:15 to 7:00 p.m. in the Rose Room. The Reception of the Body and Vigil Prayer will be at 7:00 p.m. in St. Catherine Chapel. The Mass of Christian Burial will be offered in St. Catherine Chapel on Wednesday, April 17, 2019, at 10:30 a.m. Both the Vigil Prayer and the Funeral will be live streamed. The Rite of Committal will be in the Congregation cemetery. From left: Sisters Joyce Rybarczyk, left, and Ellen Murphy in Watervliet, Michigan, where Sister Joyce ministered on a reservation. Staff members of St. Catherine of Alexandria School and Parish, Oak Lawn, Illinois are, from left, Sisters Helen Sorich and Ellen Murphy; Father Mark Walter; Father Joseph O’Brien, Pastor; Byrnie Smierciak, Director of Religious Education; and Sister Kathleen Harkins. From left: Members of the Sophia Mission Group celebrate Christmas, early 2000s. Shown are, standing, from left, Sisters Ellen Murphy, Peter Anthony Schulte, and Mary Alice Hoff and seated, from left, Sisters Jean Keeley, Sally Fergus, and Juliann Flynn. Standing in the Dominican Midwest Chapter Office are, from left, Sisters Louise Borgacz, Helen Therese Mayer, and Ellen Murphy. Chatting in the Dominican Life Center lobby, from left, are: Sisters Mary Singer, Mary Ellen Youngblood, Theresa McCall, Joan Sustersic, Peter Anthony Schulte, and Ellen Murphy. Members of the 2004 Golden Jubilee June Crowd are: back row, from left, Sisters Marianne O’Neill, Ellen Murphy, Marlene Ptaszynski, Marilyn Francoeur, Clarice Moyle, Esther Kennedy, Margaret Andrezik, Rose Ann Schlitt, Jeanne Marie Stickling, Gail Himrod, and Norlee McDonnell and front row, from left, Sisters Evelyn Piche, Teresita Ruiz, Mary Ann Letzgus, Ellen Schmitz, Therese Reynolds, Rose Irene Calvert, Joan Baustian, Kathleen Watt, Virginia Kleckner, and Janet Capone (Prioress). 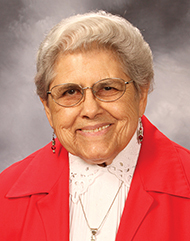 Sister Ann Rozalia Szabo, formerly known as Eleanora Szabo, died on Wednesday, April 10, 2019, at the Dominican Life Center in Adrian, Michigan. She was 86 years of age and in the 68th year of her religious profession in the Adrian Dominican Congregation. Sister Ann Rozalia was born in Tucumcari, New Mexico, to Louis and Florence (Murphy) Szabo. She graduated from Tucumcari High School in Tucumcari and received a bachelor’s degree in Spanish from Siena Heights College (University) in Adrian, a bachelor’s degree in art from California State University in Hayward, and a master’s degree in religious education from the University of St. Thomas in Houston, Texas. Sister spent 36½ years ministering in elementary and music education in St. Clair, Michigan; Cleveland, Ohio; Winslow and Kingman, Arizona; Oakland, Santa Cruz, Larkspur, and Hayward, California; Albuquerque, Belen, and Ramah, New Mexico; and Guayama, Puerto Rico. She also was a parish pastoral minister for 10 years in San Juan Pueblo and Ramah, New Mexico. Sister Ann Rozalia became a resident at the Dominican Life Center in 2011. She was preceded in death by her parents and a twin sister, Rozalia Ann Szabo. Sister is survived by a sister, Frances Ann Shay of Tucumcari, New Mexico. 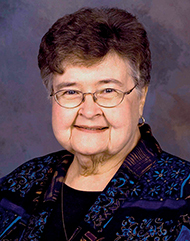 Welcome of Sister Ann Rozalia will be on Monday, April 15, 2019, at 6:00 p.m. in the Dominican Life Center lobby; the Wake will follow from 6:15 to 7:00 p.m. in the Rose Room. The Reception of the Body and Vigil Prayer will be at 7:00 p.m. in St. Catherine Chapel. The Mass of Christian Burial will be offered in St. Catherine Chapel on Tuesday, April 16, 2019, at 10:30 a.m. Both the Vigil and the Funeral will be live streamed. The Rite of Committal will be in the Congregation cemetery. Left photo: Sister Ann Rozalia’s parents, Florence Murphy Szabo and Louis Szabo, May 19, 1930. Far right photo: Sisters Ann Rozalia Szabo and Marlene Kuhnlein in their rose garden. Left photo: Little foot, Sister Ann Rozalia’s five- to six-month-old male kitten. Far right photo: In the art room at the Dominican Life Center. Left photo: From left, Sisters Barbara Gentry and Dorothy Jeanne Burns, physical therapist Glady Nguyen, and Sister Ann Rozalia Szabo in the physical therapy room of the Dominican Life Center in Adrian. Right photo: Sister Ann Rozalia poses in front of the bulletin board for an organization of animal lovers at the Dominican Life Center in Adrian. Members of the 2010 Diamond Jubilee December Crowd are, back row, from left, Sisters Kieran Therese Quirke, Mary White, Ann Rozalia Szabo, Shirley Smith, Jeannine Therese McGorray, Geraldine Maloney, and Sean Morley; middle row, from left, Sisters Rita Crotty, Lucy Ann Quinn, Loretta May, Noreen Burke, Genevieve Jeziolkowski, Marlene Kuhnlein, and Janet Michael Hudspeth; and front row, from left, Sisters Lila Watt, Carol Denise Koenig, Virginia Beattie, Maria Goretti Browne, Ellen Kennedy, Joseph Eilese Hukle, and Donna Markham (Prioress). 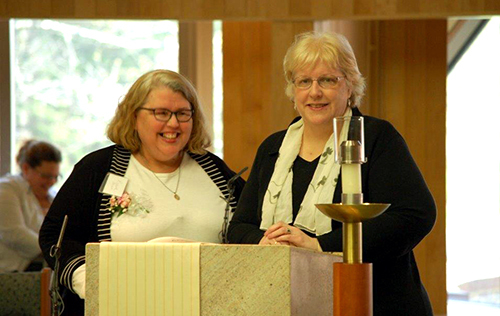 Lisbeth Johnson, left, with her sister, Associate Mary Lach, Director of Associate Life, after Lisbeth’s Ritual of Acceptance into Associate Life in 2014. Lisbeth Gene Hentschel was born on October 5, 1960 to Eugene and Meg (Malcolm) Hentschel in Grand Rapids, Michigan. She became part of a family of six, with her siblings, James, Stephan, and Mary. Lisbeth’s childhood life was very busy: traveling, camping, going to the beach, and playing outside. She learned to read at age 3 and once she arrived at kindergarten, a lifelong love of learning began. Lissie attended Holy Name School and then Grand Rapids Catholic Central, graduating as salutatorian and a National Merit scholarship recipient. At Aquinas College, she majored in mathematics, accounting, and business, passing the CPA exam on her first try, at age 21. She was also a tutor at Aquinas and worked on the school newspaper, where she formed very close friendships. Her interest in art history drew her to Florence and Rome to see the art. Lissie discovered that she was much more comfortable working with not-for-profit organizations. She worked for the Diocese of Grand Rapids and eventually became Financial Director at Family Outreach of Grand Rapids, which provides psychological services to the marginalized. She sought funding for the center, managed the accounting, and wrote grants. Lissie had a great call to social justice and frequently spoke out against the injustices in her city. Lisbeth married Dale Johnson in August 1990 and their son, Nicholas Andrew Johnson, was born the following year. Family life, her job, and parish life kept her very busy. The Twelve Steps program was very important to her and she actively participated in Al-Anon. Although she knew that her marriage was not healthy, she remained married to care for her husband Dale, who had a lot of health issues. Once Dale was stable, they divorced, but Lissie continued to look after him and his medical needs. Because she was the one sibling who remained in Grand Rapids, Lissie often had to care for her parents. With the death of first her mother and then beloved father in April 2018, she found herself in a time of new beginnings. Lissie and Joe Steve, a college friend, found each other and became engaged in the fall of 2018. Their wedding was to be in June 2019. Lissie certainly considered herself to be a Dominican. She joined Associate Life in 2014 with her sister Mary Lach, Director of Associate Life, as her mentor. Both sisters enjoyed the hours they spent studying the formation materials. Lissie also attended Associate retreats and Partners gatherings. Lissie enjoyed reading, quilting, watching old movies, swimming, and being with her son Nick and her many nieces and nephews. In October, 2018 Lissie was diagnosed with uterine and lung cancer. She endured two difficult surgeries and in January 2019 began to take chemo treatments. Throughout this challenging time, she remained upbeat, happy, and positive. It was a tragic day for her family when, on March 29 on her way to work, she was involved in an auto accident, hit by an impaired driver. She lived five days despite being terribly injured. On Wednesday, April 3, Lissie indicated in writing that she wished for her ventilator to be removed and to die peacefully. She wrote that her dad was telling her to “come home.” She died peacefully, with a smile on her face, talking to her dad. Lissie’s Memorial Mass was celebrated on April 12, at Holy Spirit Parish with her good friend Msgr. Edward A. Hankiewicz presiding. She will be missed. Lissie is the fourth person of the staff of the college newspaper to die at an early age. Perhaps they are gathering together, arguing and laughing as in the days gone by. Sister Patricia DeMay, formerly known as Sister Mary Cuthbert, died on Saturday, April 6, 2019, at the Toledo Hospital in Toledo, Ohio. She was 87 years of age and in the 70th year of her religious profession in the Adrian Dominican Congregation. Sister Patricia was born in Jackson, Michigan, to Cuthbert and Myrtle (Bleicher) DeMay. She graduated from St. Joseph Academy in Adrian, Michigan, and received a bachelor’s degree in Latin and a master’s in education administration, both from Siena Heights College (University) in Adrian. She also received a Specialist Education degree in Curriculum and a Doctor of Education degree in Curriculum, both from the University of Tennessee in Knoxville. Sister spent 53 years ministering in education and library services in Elmwood Park and Flossmoor, Illinois; Utica, Romeo, Lansing, Flint, Adrian, and Hillsdale, Michigan; St. Petersburg and Miami Shores, Florida; and Livingston, Alabama. She was an education lecturer at Barry College (University) in Miami Shores, Florida for one year; and also ministered for two years as an elementary teacher at Catholic Central and as an instructor at Siena Heights in Adrian. Sister Patricia became a resident of the Dominican Life Center in Adrian in 2013. She was preceded in death by her parents; a brother, John DeMay; and her sister, Mary Arbour. Sister is survived by her loving nieces and nephews. Welcome of Sister Patricia will be on Wednesday, April 10, 2019, at 6:00 p.m. in the Dominican Life Center lobby; the Wake will follow from 6:15 to 7:00 p.m. in the Rose Room. The Reception of the Body and Vigil Prayer will be at 7:00 p.m. in St. Catherine Chapel. The Mass of Christian Burial will be offered in St. Catherine Chapel on Thursday, April 11, 2019, at 10:30 a.m. Both the Vigil Prayer and the Mass of Christian Burial will be live streamed. 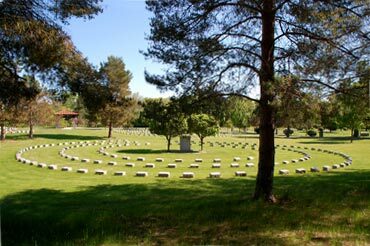 The Rite of Committal will be in the Congregation cemetery. Right: Father Edward J. DeKeyser turns over the first shovel of dirt in the groundbreaking for the new church at St. Lawrence, Utica, Michigan, January 25, 1950. Shown with him are: back row, from left, Sisters Jean Annette Rudolph (front), Evangeline Marie Loveridge, Frances Michael (Dorothy) LaMantia, Mary Cuthbert (Patricia) DeMay, Helen William Schanz, Rose Geralda Mullane, Father DeKeyser, Sister Robert Joseph Bailey, Father Elmer Nacy, and Sisters Richard James Carroll, Pierre Des Jardins, and Mary Wilhelmina Gasper. Left: Sister Patricia celebrates Commencement for her doctorate in education at the University of Tennessee, December 12, 1980. From left: Sister Patricia hooked this rug, 92” by 102” and 25 yarns per inch, for her front room. Sister Patricia sells her handiwork at the Dominican Life Center Christmas Bazaar, December 4, 2015. Members of the 2008 Diamond Jubilee August Crowd are: back row, from left, Sisters Patricia DeMay, Theresa Sinnamon, Angelica McGuire, Dorothy Worthy, Barbara J. Carroll, and Audrey Hull, and front row, from left, Sisters Ann Marie Meagher, Mary Declan Foss, Margaret Ann Reardon, Margaret Karam, Theresia Scheuer, and Ann Benedict Williams.